Through Petals Flowers Adelaide, South Australia you are able to send a huge range of premium quality flower bouquets, arrangements, roses, and more to be delivered to Adelaide and Adelaide's surrounding areas and throughout Australia. Beautiful flowers delivered by local florists to Adelaide! Your credit card and personal details are 100% safe when you purchase through our Network. You can buy online with confidence: all sites are secured using a Thawte Digital Certificate, and the step-by-step Secure Order Forms will ensure the process is quick and easy for you! You'll always receive REAL HELP from our staff when placing your order.... and they're nice to talk to as well! It's increasingly difficult to find companies these days who can provide you with genuine, polite ordering assistance. We have always valued the personal customer contact that comes with working in an industry for years. Our staff are extremely experienced in helping people with their orders.. what to choose... what's the best for delivery to a specific area... which flowers to use for a certain occasion... the list goes on! View our beautiful range of roses, bouquets, sympathy flowers, arrangements, potted plants and gift baskets and place your order today for same or next-day delivery! To Be Daring - So many people go through life too scared to 'step out' of their comfort zone and do something that may change their lives forever. Some may never complete the application for their dream job because they don't think they're up to it... others might be condemned to a life of loneliness because they're too worried about starting a conversation with the stranger standing in front of them in the bank queue. So go on... send that nice person you just met a beautiful bouquet. You never know where it might lead! Be daring! At night, flowers prefer to be kept cool, and they will benefit from a lower thermostat setting! I would just like to thank the network for the wonderful flowers delivered to my cousin in the UK. It was comforting to know that my thoughts were conveyed to her via your flowers on the loss of my dear Aunt. And a big thank you to the man who delivered them for taking the time and trouble to go so far. once again THANK YOU. Petals Network has a network of over 1000 florists Australia wide to provide you with beautiful fresh flowers delivered same day. If you want to send flowers online to the Adelaide area, we will have a local Adelaide florist deliver the freshest flowers available to the door! We have a wide range of flowers, roses, bouquets gift baskets and arrangements to suit any occasion including a birthday, an anniversary, a new born baby, romance, sympathy, funeral, natives and flowers just to say thank you. If you want a local florist near Adelaide to deliver the freshest flowers to Adelaide. Need a florist in Adelaide Australia. in Petals is a leading online florist in Australia. We have a number of nearby florists servingAdelaide. That means you can get fresh flowers delivered to Adelaide easily. Our flowers delivered to Adelaide will always be delivered by a local florist. 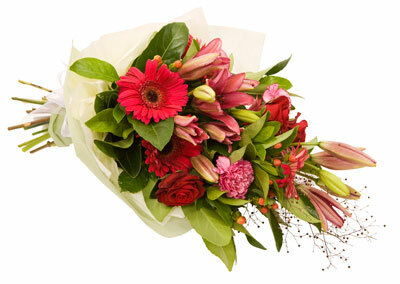 Its easy to send cheap flowers to Adelaide. We have flowers for all occasions at Petals Network Adelaide. Petals has a network of florists serving Adelaide, South Australia. All Petals Network florists serving Adelaide are qualified. Our florists will make delivery of flowers to Adelaide, South Australia. Need gifts to Adelaide? Visit Petals Network's gift web site, . Send gifts to Adelaide, South Australia with Grumleys. Grumleys has a large range of gifts for all occasions including birthdays, anniversaries, celebrations and new baby congratulations.